(NaturalNews) The Environmental Protection Agency (EPA) and Department of Agriculture (USDA) are readying to approve a powerful new herbicide, as well as three genetically modified organisms (GMOs) engineered to resist it, that has not been adequately vetted for either safety or effectiveness. And at least 50 members of Congress have written a letter to the two agencies urging them to reject the chemical concoction, known as Enlist Duo, which threatens to increase 2,4-D usage by as much as 700 percent, leading to massive environmental and human health destruction. Final approval for Enlist Duo and the three GMOs has yet to be granted, but the two agencies have made clear their intent to ignore the more than 300,000 public comments they've received so far, most of which are in opposition to the chemical products, by approving them anyway. The EPA and USDA are also blatantly ignoring the complete lack of science behind the products, which will only increase chemical usage and further the spread of weeds and pests that are resistant to both glyphosate, the active ingredient in Roundup, and 2,4-D, a component of the chemical weapon Agent Orange. The 50 members of Congress who oppose Enlist Duo and the three GMOs expressed their "grave concern" about "the multiple adverse human health, environmental, agronomic and socioeconomic harms that approval of 2,4-D crops will likely cause" in a letter to EPA Administrator Gina McCarthy and Secretary of Agriculture Tom Vilsack, the founder and former chair of the Governor's Biotechnology Partnership. The letter also noted that the USDA's own Animal and Plant Health Inspection Service (APHIS) projects a massive increase in 2,4-D usage by 2020 as a result of Enlist Duo approval. Of primary concern are 2,4-D-resistant weeds, which have already been reported throughout the Midwest where Roundup Ready GMOs are currently widely grown. More than 70 million acres of conventional crops, says Washington State University (WSU) research professor and agricultural scientist Charles Benbrook, are already infested with herbicide-resistant weeds, and approval for Enlist Duo will only exacerbate this growing problem. The EPA has also failed to properly assess the human health effects of exposure to Enlist Duo, which contains chemicals that have undergone safety assessments individually but never in combination with one another. Enlist Duo is arguably the most powerful herbicide solution ever created, and the EPA has given little thought to how it will affect grazing animals, for instance, or farm workers who will be tasked with applying it to fields. The National Pesticide Information Center at Oregon State University (OSU) has published a fact sheet just for 2,4-D that explains how it can absorb directly through the skin, especially when sunscreens and insect repellants have already been applied. Farm workers exposed to 2,4-D have been shown in existing epidemiological research to have higher rates of non-Hodgkin's lymphoma, for instance. 2,4-D has also been linked to birth defects and reproductive problems, both of which the EPA has failed to consider in suggesting that Enlist Duo receive blanket approval. "We are... concerned that EPA failed to thoroughly examine all of the significant health and environmental risks of 2,4-D including that of inhalation and aggregate exposure," wrote Reps. Chellie Pingree (D-ME) and Peter DeFazio (D-OR) and their colleagues in the joint letter to the EPA and USDA. 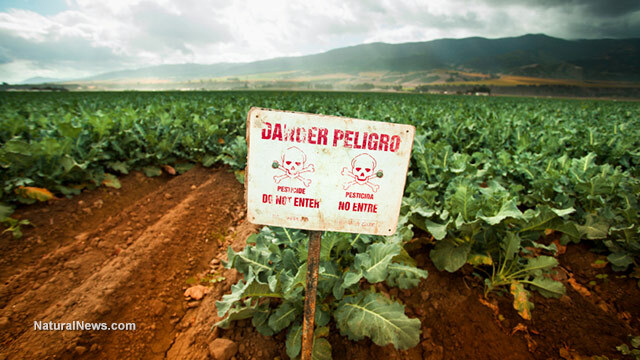 "The risks of approving 2,4-D crops are simply too great and benefits too few to jeopardize public health, the environment and the long-term sustainability of our food supply."